Wes Skiles Peacock Springs State Park--Below the shimmering water of this park lies one of longest underwater cave systems in the United States-almost 33,000 feet of underwater passages have been found. Although only certified divers can explore the caverns, swimming is popular for everyone at Orange Grove and Peacock Springs. There are also six sinkholes and a spring run in this park. Hikers can walk the nature trail that follows the path of the caves, with displays illustrating what lies below. Pack a picnic and spend the day soaking up the sun and the atmosphere. 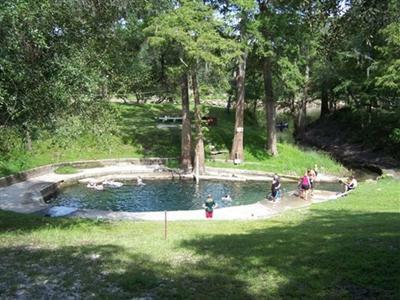 Ichetucknee Springs State Park--Hop on a tube or raft and watch a world of wildlife unfold as you float down the river. Look for white-tailed deer, raccoons, wild turkeys, wood ducks and great blue herons as you drift by. Come early in the day during the summer weekends because the place is jumping then. Picnicking, snorkeling, canoeing, swimming and hiking are all part of the activities. Certified scuba divers can explore Blue Hole Spring from October through March. Stephen Foster Folk Culture Center State Park--Although he chose the name for its melodic sound and not his own memories, Stephen Foster certainly put the Suwannee River on the map with his famous song. His music is played throughout the day on a 97-bell carillon at this park in White Springs. 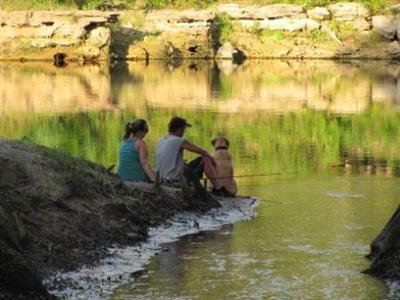 While listening, visitors can see demonstrations in Craft Square, hike, bike, canoe and view the wildlife. Special events at the park include the Florida Folk Festival in May, concerts, weekend retreats and a monthly coffeehouse. 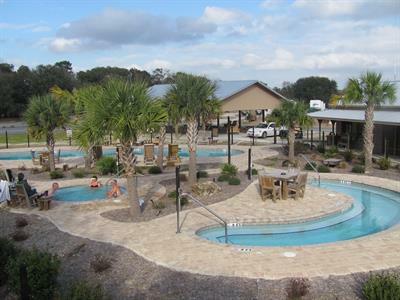 Troy Spring State Park--The centerpiece spring of the park is a perfect location for swimming, snorkeling and scuba diving. It's naturally heated to a pleasant 72 degrees. Buried within the 70-foot-deep water are the remains of a steamboat, sunk to prevent it from being captured during the Civil War. 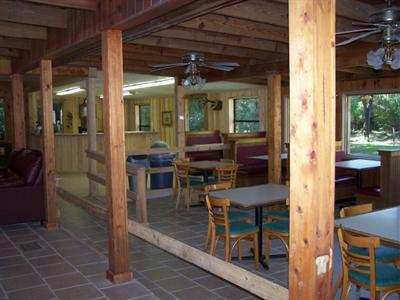 Stroll through the forest of hardwood hammock, fish, canoe and kayak on the Suwannee River. There is a riverside dock for canoeist and boaters.